CGTalk | Looping a Value animation using the node editor? 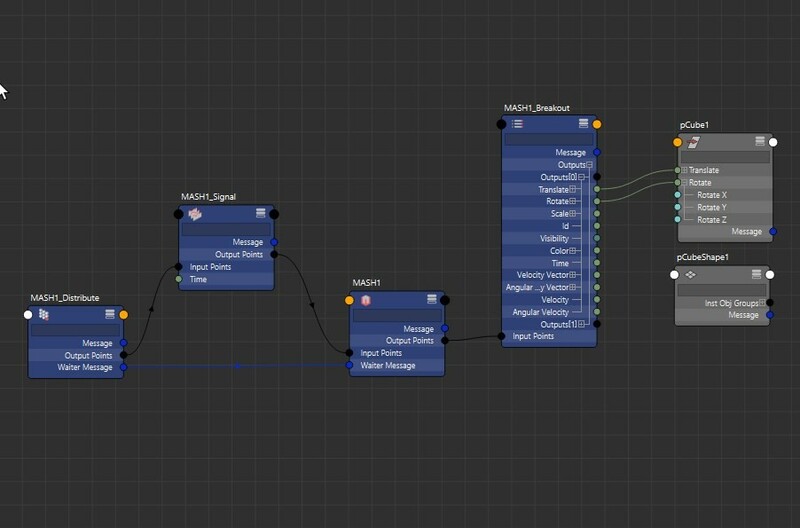 Looping a Value animation using the node editor? im trying to make a “Hovering” like animation. all i need to do is be able to plug a sin wave into the translate values of the null and have a control that can manipulate the amplitude or something to that effect, but I have no idea what nodes to use to be able to get this right. could also plug a noise texture. expression would work too, but getting that to work right where its easy to setup is a bit of a pain. Noise texture… now this is one that i also thought of, coming from a 3Ds Max background, this is what i would normally use. I’m just unsure how I would wire this up in maya. Will look more into this. what type of performance issue you had? It’s pretty robust actually, and for your case you will have a dedicated noise node with mash. I needed it to have around 100+ objects and Mash was just not cutting it…(it was extremely slow) I ended up using standard Nparticles with a geometry instancer eventually. I need to basically drive a controllers Y-value in a constant fashion (so lets say between 10 and-10) so that its a constant loop, but then have a controll that can change the amplitude and frequency. create a noise texture, or fractal if you want and connect the alpha to translate Y.
now in the noise node you have some parameters amplitude etc you can play with them to see the behavior, also you will have to animate the time parameter, you can type “=time” this will quickly create an expression based on time. you can also connecte the time node into it or keyframe it. But i insist you won’t get near the control you have with the signal node, also you have a trigonometry mode in it if you really want a sin function. could you send me that scene? so I opened your scene, hit play… nothing happens… tried tweaking values on the signal node, still nothing. what version of maya you have? yup, have that exact setup in the scene file you sent me. im using the scene you sent me to try and get this working, so the setup should be identical to the one that you made. hard to tell what’s going on from here but try to rebuild the thing from the start on a fresh new scene it’s just few nodes.